Very beautiful hostel,so cozy,clean,in the middle of the city with a bar just for the guest and nice terrace. Good place for socialize with new people and the staff are Super! 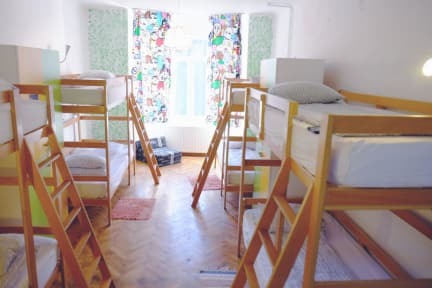 The Centrum Hostel in Brasov is amazing! 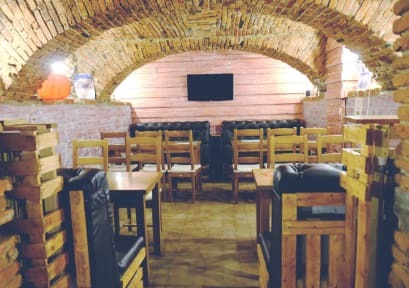 It is in the historical centre of Brasov, so when you go out you are already in the centre of the city! The hostel is big and well organized, the breakfast in the morning is big and very tasty, all the stuff is very kind! Posizione centrale. Personale gentilissimo ci ha fornito una mappa e consigliato ottimi locali e pub. Camera pulita e letti comodi. Colazione inclusa. Bagno pulito. Stanza per 8 servita di un solo bagno, quindi nel caso la stanza sia piena potrebbe essere un problema.